One of the hardest aspects of grief – as a grieving parent – is forgiving yourself. Children die every day. And, for every child that has left this world, is a parent left wondering what they did wrong, how they could have prevented it, why they weren’t in their child’s place. Abi’s death could not have been predicted nor prevented, yet still I wondered what I could have done to save her. If I’d have noticed sooner and taken her to hospital… had she had some injury in her past that may have caused her hemorrhage… or perhaps things I did or didn’t do in the pregnancy and birth affected her. Then there was the guilt of every single time I lost my temper with her, or punished her, or said no to her. Even, as in my case, where there is very little scope for ‘blame’ or ‘regret’, guilt still found a place in my loss. In order to forgive yourself, you need to be absolutely honest about what happened. Acknowledge your feelings of grief, guilt, or shame and accept that you are worthy of forgiveness, as is everyone. If a friend told you their story about their shame and guilt, what would you say to them? ‘Too right, you should totally hate yourself, what you did is unforgiveable.’ I doubt it. You are more likely to comfort your friend, remind them that they are human, like everyone else, that we can’t always know what will happen or why, that we don’t have control, that it’s not our fault. Talk to yourself like you would a friend. Your loss is hard enough to carry without adding on layers of resentment and guilt. The Book of Forgiving offers far more detail and case studies that are helpful in reaching a place of forgiveness and inner peace. I found it applied to a number of instances in my life, as well as in my grief, and while I, of course, still grieve my loss of Abi (I won’t ever not), it is easier on me physically and emotionally to do this without carrying so much hurt and anger within me. After Abi died, I never (and I mean never) thought I would be saying this, but I am so glad to forgive, as I have been forgiven. 1. Find a small stone that fits in the palm of your hand. A new stone from before. 2. Hold it in your left hand. This is the hand of judgement. 3. For each item on your list of things you need to forgive yourself for, transfer the stone from your left hand to your right hand. 4. The right hand is the hand of mercy and forgiveness. 5. Holding the stone in your right hand, say the words ‘I forgive myself for…’ and fill in an item from your list. 6. When you are done, return the stone to where you found it. This concludes my summary of The Book of Forgiving, I hope and pray that you have found it useful and encourage you to get a copy of the book and read through the moving case studies and advice given. As we enter another year, a year without our loved ones, consider how it might be possible to use their memory to channel forgiveness of others so that you can find some peace and own your story completely. ‘If you are standing before me, beaten and bleeding, I cannot tell you to forgive. I cannot tell you to do anything, since you are the one who was beaten. If you have lost a loved one, I cannot tell you to forgive. You are the person who has lost a loved one. But I can tell you that it all matters. Whether we love or hate, whether we help or we harm, it all matters. Did you miss part 3: The Fourfold Path? 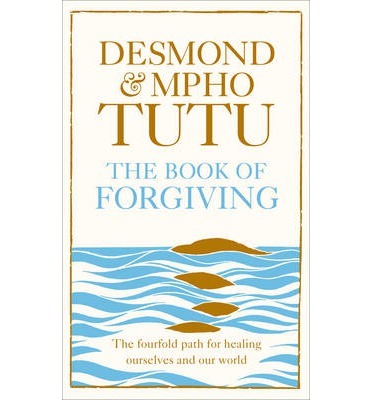 This entry was posted in Books about grief, Books about grief and dying, Faith, Living and grieving, My musings about life, Uncategorized and tagged bereaved mother, Desmond Tutu, faith, Forgiveness, grieving, The Book of Forgiving by Chasing Dragonflies. Bookmark the permalink.